Here’s a free, printable Saint Patrick’s Day Cootie Catcher. This Saint Patrick’s Day Cootie Catcher is great for studying Saint Pa trick’s Day words or sight words! Print out the Saint Patrick’s Day Cootie Catcher. Fill with Saint Patrick’s Day spelling words or sight words to study. Fold (as explained on instructions). Have fun playing with a friend or solo. 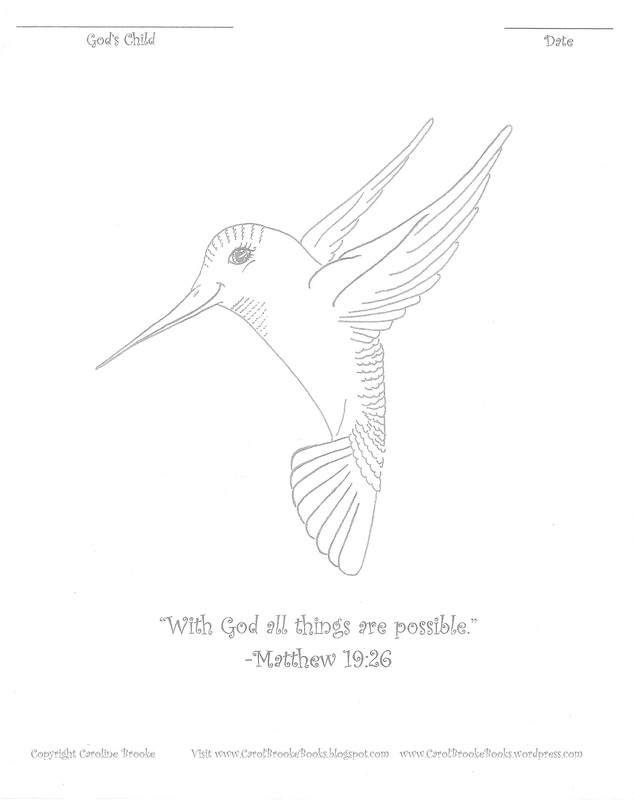 Like Carol Brooke Books on Facebook for all the latest fun and free printables! Well, it’s the end of September now… Your child’s teacher has written your child’s name dozens of times by now on papers and bulletin boards. Her hands and wrists may be sore from all her work. (I know mine were when I was teaching.) Your child’s teacher is likely in the middle of assessments and thinking of ways she can differentiate instruction based on all the needs of her children. She may be feeling nervous, over-whelmed… Maybe even a bit unappreciated. When is the last time you said something kind or did something truly thoughtful for your child’s teacher? If we want our teachers to stay motivated, we need to work as a team. Not only do they need parent volunteer support in the classroom, but the teachers need to feel cared for as well. When gift-giving be sure to keep in mind that even though the teacher has the grace not to tell your child that the earrings you took out of your jewelry box that say, “You are special”, and you gave her because you won’t wear them aren’t really what she wanted, doesn’t mean you should go ahead and give it to her. Be as kind with your gift-giving as you would expect her to be in teaching your child. If you expect a lot, you need to give a lot. Here’s a free, printable Teacher Gift Idea handout. Give it to the teacher, and after she fills it out make copies of it and send it home with all the children. Here’s a Holy Trinity Shamrock Craft! It works best to glue above Holy Trinity shamrock onto a popsicle stick after coloring it. Then, glue the back to green construction paper and cut it out. Cut out the Glory Be prayer and glue it to the back. Children can pray the Glory Be prayer on the back of the Holy Trinity shamrock. This craft was made for the children to accompany our (mom’s) reading for the week. We are reading from Lisa Hendey’s Book, Catholic Mom. This activity is for chapter 4, Faith Family: Finding a Parish and Nurturing Your Faith Community. Our group is at Holy Trinity Catholic Church and it’s almost Saint Patrick’s Day, so it was an ideal activity for us. The kids really enjoyed it, too. 🙂 We start the group with a prayer, do the kid’s activity and reading. Then, the kids spend free time together as we discuss our reading. It works really well. Moms and kids come together and close with a prayer, too. 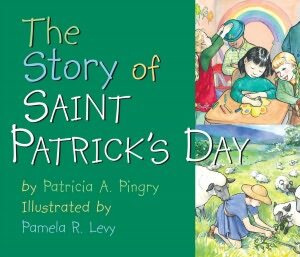 One of my friends from the group read a great book to the kids, The Story of Saint Patrick’s Day. The book perfectly complimented the activity! 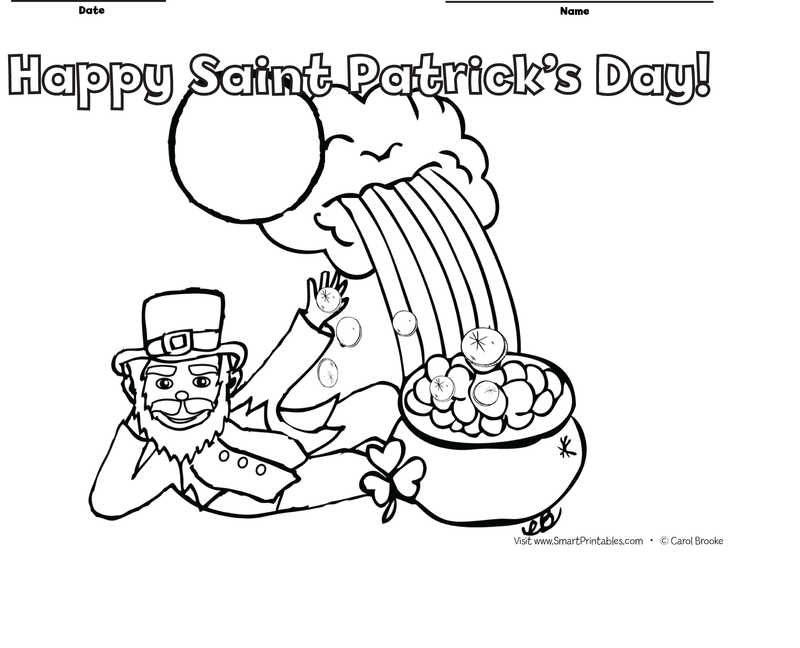 Here’s a free, printable Saint Patrick’s Day word search puzzle, answer key, and Saint Patrick’s Day coloring page! Warm Fuzzy Valentine’s Day Cards for Your Children to Deliver to Their Classmates! $1.00, Click here to order your Valentine’s Day cards through Teachers Pay Teachers. Here’s a convenient way to help your children prepare Valentine’s Day cards for their classmates! Rudolph the Red Nosed Reindeer Coloring Page! Christmas is almost here! Many of you may be singing Christmas Carols with your children. It’s a fun way to cheer up with the kids when the Christmas list of things to do piles up and you need to smile. Singing helps you remember to breathe (in the midst of all of this)… and remember to create the memories you want to last. 🙂 My daughter is singing Rudolph the Red Nosed Reindeer with her class this year, so I thought I’d share a little Rudolph coloring page I illustrated, along with the lyrics.